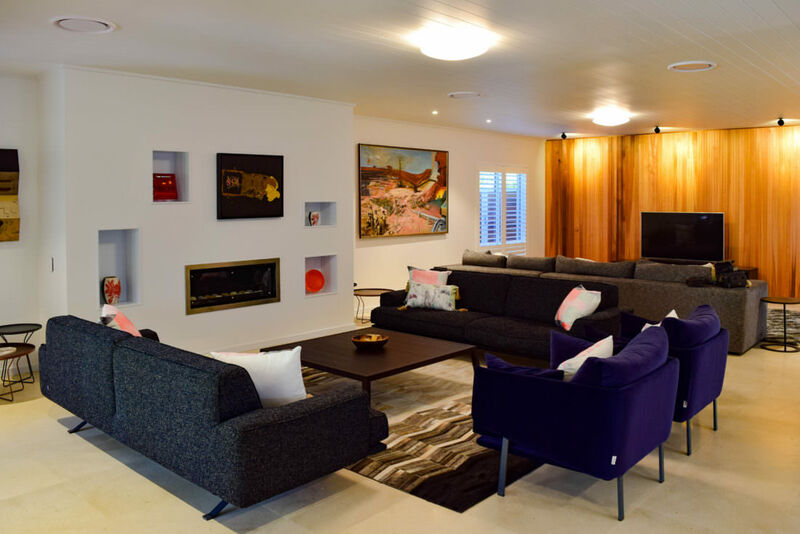 This two-story house encapsulates paired back elegance and maximizes space with the open plan kitchen/dining/living room featuring a timber feature wall and high end stone benchtops. Together they give the room a simple, crisp and elegant feel. The large open plan living area features stunning timber ceiling cladding and views out onto the iconic Dunsborough bay. A large multi use outdoor living area extends beyond the living room and creates an enormous sense of space to the property. Upon entering the home you are greeted by a stunning cantilevered timber staircase with wrought iron ballistrade. The second story opens up into the enormous master suite which includes a bar, private balcony and a three room walk in robe, ensuite and shower. The focal point of this house is the striking feature stone work wall above the entry. 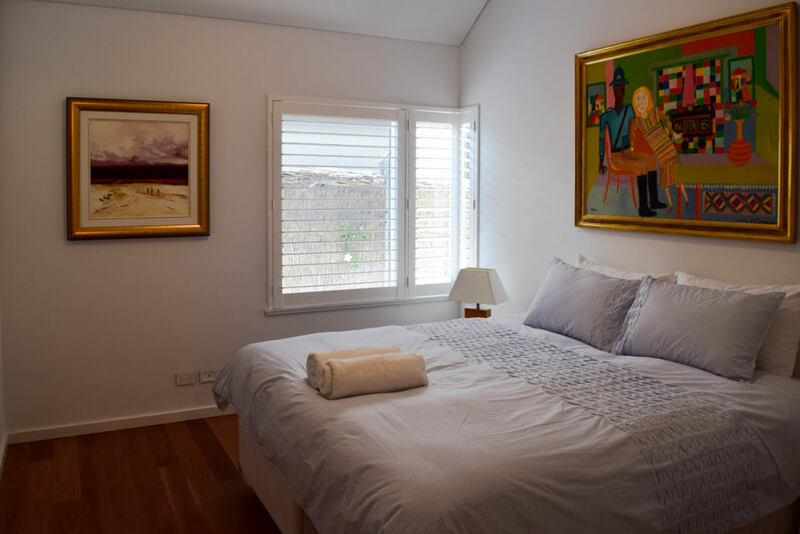 The massive second floor master suite includes a private bar upon entry, a sitting room in front of the bed that can act as a second living room for the occupants and a huge private balcony with direct views to the beautiful beaches of Dunsborough. The pitched ceiling and painted timber beams give the room immense space and compliment with the painted timber lining that covers both the master suite ceiling and downstairs living room. 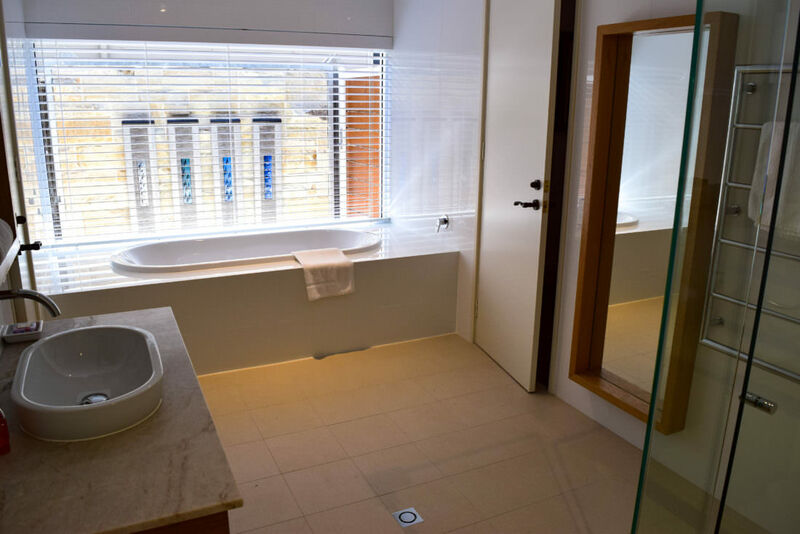 Included in this dedicated top floor is a three room combined walk in robe/bathroom and individual shower room. This home exemplifies how crisp, clean lines paired with a range of textures and finishes can create an amazing home. The combination of stone, timber, tile and glass work to accentuate the design of the home. It is always a challenge to build on a block with a narrow entrance but the high ceilings and large outdoor area have been used to full effect to create the feeling of space.